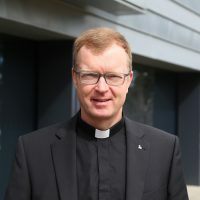 Fr Hans Zollner SJ, one of the leading Church experts in safeguarding minors and on areas concerning sexual abuse in the Roman Catholic Church and beyond, said Australia had made great strides forward and had much to teach the wider Church.Fr Zollner is in Australia to meet with clergy, school leaders and survivors of abuse. His visit coincides with the Catholic Church’s response to the recommendations of the Royal Commission into Institutional Responses to Child Sexual Abuse later this week. This entry was posted in Uncategorized on August 28, 2018 by ACBC Communications.